Click here for Devon White's homepage! Best Season: It'll be up shortly. In the meantime, have another hot dog! 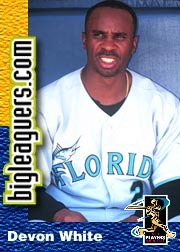 Devon White rules because: He plays for the D-BACKS!!! What other reason do you need?